Sponsor: Texture, fit, technique, style. 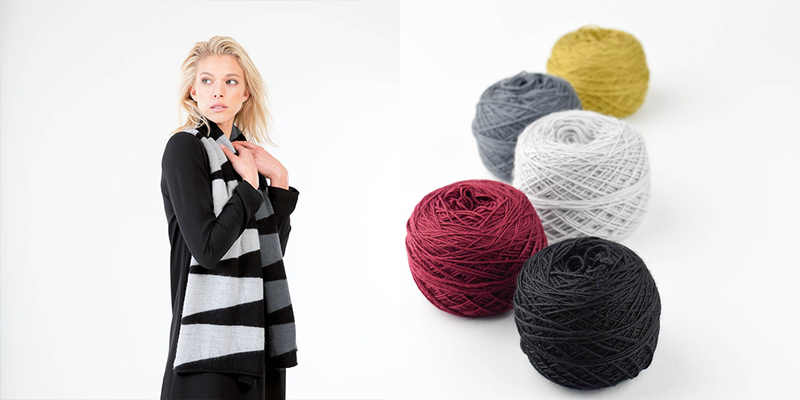 Just a handful of elements that inspire today’s knitter to pick up needles and cast on. When it comes to men who knit or those who wish to knit for them, though, sources of inspiration are often difficult to come by. The solution is Rib Magazine. 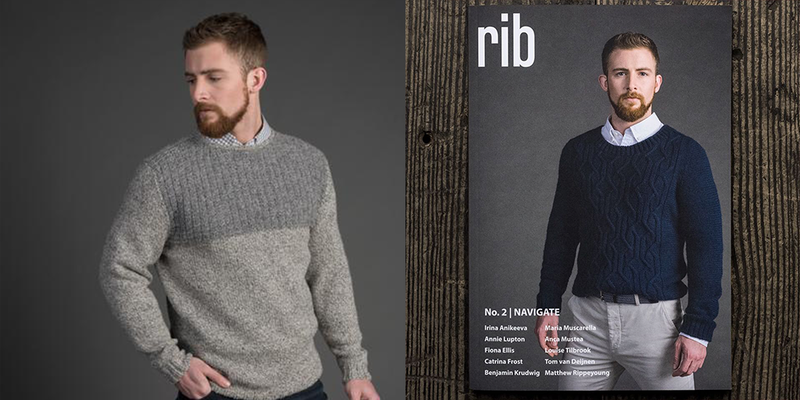 Devon and Jennie, the founders of Rib Magazine hope to establish an ever-evolving, inspirational library of men’s knitwear patterns and highlight the renaissance of men returning to the craft and art of knitting. As you flip through the pages, you will not only find engaging designs, but stories of men who participate in and contribute to our fiber community, whether they be knitters, designers, weavers, spinners, or dyers. Through their stories, Rib aims to motivate and attract more men to knitting. 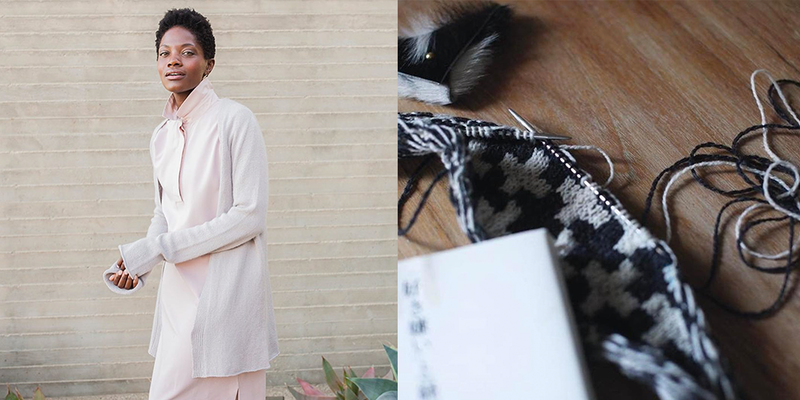 Fiber folk: Olga Buraya-Kefelian is a force in the knitwear design community and her penchant for unique construction and patterns has broadened many a knitters repertoire. 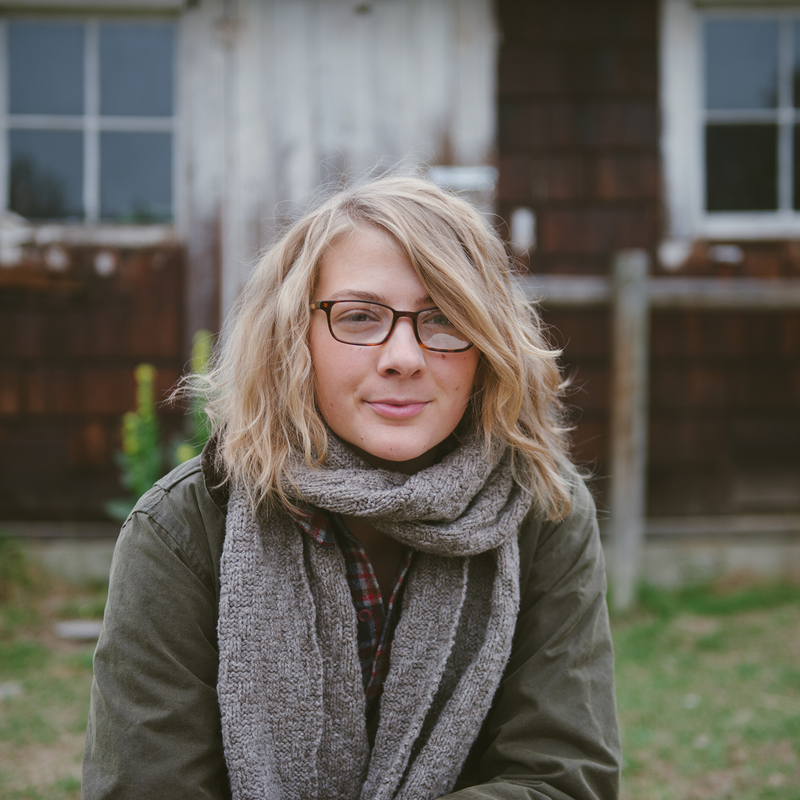 Her work has made appearances with many of our favorite yarn brands, including Shibui, Woolfolk, Brooklyn Tweed, Habu and many more. I’ve long been a fan of her versatility in design and it was a pleasure getting to hear her story. I hope you enjoy it as well. 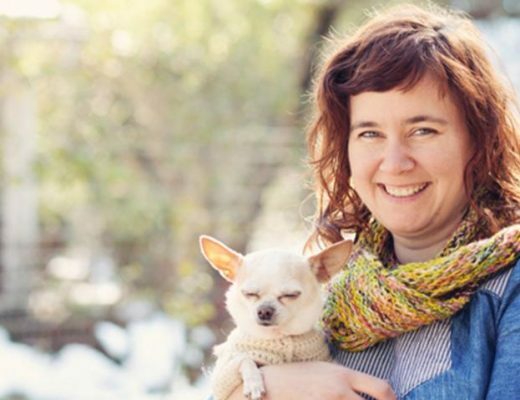 And for those you who don’t want to miss any of Olga’s upcoming events and classes, make sure to subscribe to her newsletter at olgajazzy.com and follow along on Instagram and Facebook @olgajazzyknits. Giveaway: The winner of our last episode’s giveaway is Rose Young. 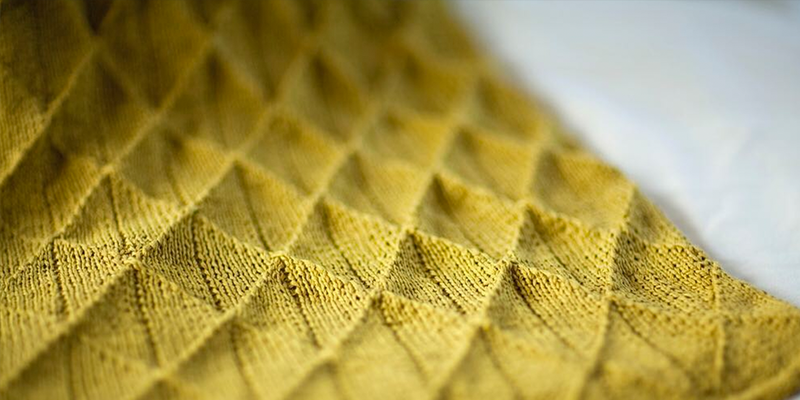 You’ve won a copy of Rebecca Burgess’s book Harvesting Color and 3 skeins of Twirl yarn. Congratulations! 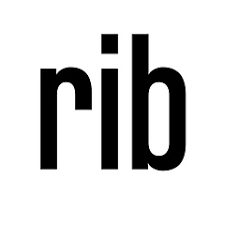 This week’s giveaway is sponsored by Shibui and Rib Magazine. 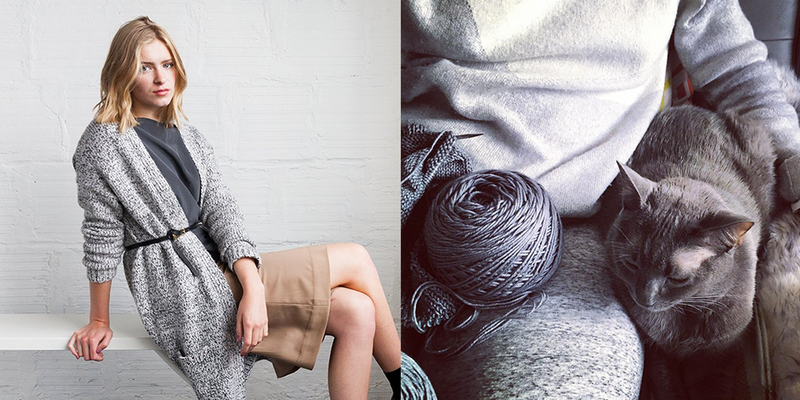 Shibui is giving a project kit which includes the ICON pattern, a modern wrap from their FW17 collection along with 5 skeins of their new yarn Birch. Rib Magazine is giving away a copy of their most recent issue Navigate. To enter, leave a comment on this blog post. Olgajazzy sounds like an amazing woman. Thanks for inviting her to share her story and her insights. ¡Olé Olgajazzy! Such beautiful designs. Plus, what could be better than Shibui Birch + ICON? Stunning! Wonderful! I love a good interview. Good to hear Olgajazzy’s story. I love all of the textures in this episode! It has always fascinated me what a simple combination of purl and knit stitches can create! Such a great interview. Olga’s work is stunning! Such an engaging and interesting interview. I loved hearing her story. The sweater on the cover of Capsule 1 is very intriguing. I love the look of the shawls shown in the pictures right above the podcast download bar. I’m sure I’m not alone in saying I love all the textures in Olga’s designs. Her work is so sculptural. Ooh, Birch looks like an amazing yarn! I can’t wait to listen to this episode. I really enjoyed hearing about Olga’s story of growing up so far away from what I am familiar with. I love her patterns and the idea that less can be more. Thanks for a great interview! I love hearing stories of people who have travelled such a different path to mine, thanks for sharing Olga’s. Thanks also for introducing me to her incredible patterns too! Love her designs. Thanks for the giveaway! So interesting to hear about this innovative designer. Just spent a lovely hour on a wet and windy Sunday afternoon sewing up and listening to Olga. I really enjoy hearing about knitter’s lives and inspiration. What a great story! I can see her upbringing in the style of her work. Thankyou! 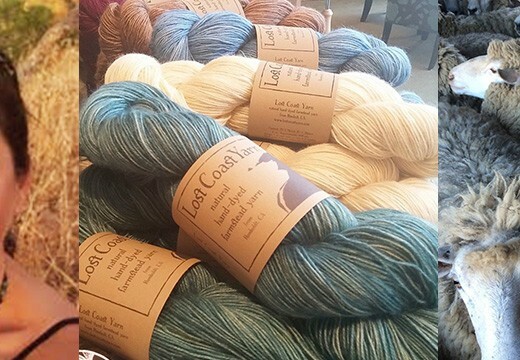 Birch yarn sounds lovely. So thrilled to learn more about Olga after enjoying her designs for years. Thank you! I always admire peoples lives that have knitting in them for as long as they can remember. I hope my kids always remember hand knits, too! Enjoyed hearing Olga Jazzy tell her story. It is fascinating and amazing. As a retired military wife, having moved over 20 times over the course of my husband’s career, I say wow!! You took the challenges of multiple moves and used them to further your knowledge and interests. Your story is inspirational for any military wife who is struggling to find herself. Congratulations on where you are today, Olga. And continued success! So many great designs! Thanks for the introduction to Olga’s patterns. Thank you for finding these amazing people and giving them the space to tell us their story. Good to hear that there are so many different reason why people want to knit and mainly several reasons to keep going for each knitter or fibre creative. I wish Olga all the best for her future. I so much relate to Olga’s childhood story as I am coming from the same soviet background and now living in Australia. Love your work Olga and please keep inspiring us! Great to hear her story and how she is made designing a career! Loved listening to Olga’s journey. 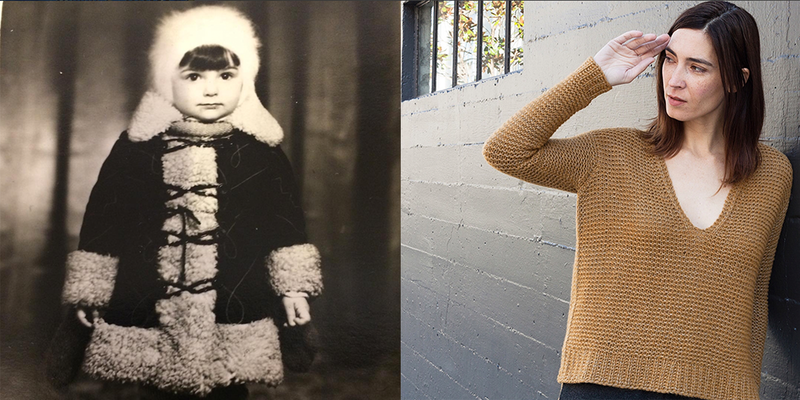 Now I have a voice to match her cute modeling photos of her inventive knitwear. Brava! I can’t wait to learn more about Olga, her patterns and her journey. Your podcasts have been a portal to so much learning about the knit world I love so much and this episode looks like a really good one! Thanks for your dedication to all the education you spread through your work. I love hearing the craft journeys of the people you bring on your podcast and Olga’s journey is no exception. Thank you, Ashley. Appreciated hearing the story of her fibre journey and love where her time in Japan is taking her work. I so enjoyed the podcast. This is the first one for me! I love the patterns of Olga Jazzy! She keeps surprising! Beautiful podcast! I always enjoy each and every one of them! And Thanks for the amazing giveaways! excellent episode! Her story is so thorough and thought provoking. Love her relationship with her mom and how it has evolved through her career. I so enjoyed your interview with Olga! Your podcast interviews always leave me feeling like I really got to know the guest. I love learning about a designer that is new to me. I really enjoyed the interview! 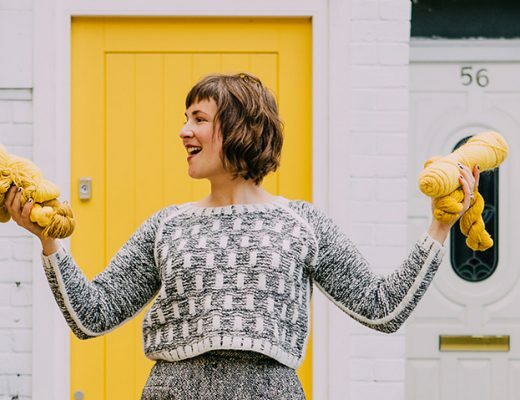 One of the best things about hearing other people’s fibre journeys are the recollections and observations that resonate with your own – Olga’s personal experience with knitting as meditation and therapy struck that chord with me. Great interview. I loved hearing about Olga’s childhood and experiences in Japan. Thanks for another great podcast and giveaway. It was lovely to listen to Olga tell us where she came from, how she started out and what’s in the future. I was lucky enough to listen to her give a talk at Pomfest in London, recently, and this interview simply helped give an even better understanding of who she is. 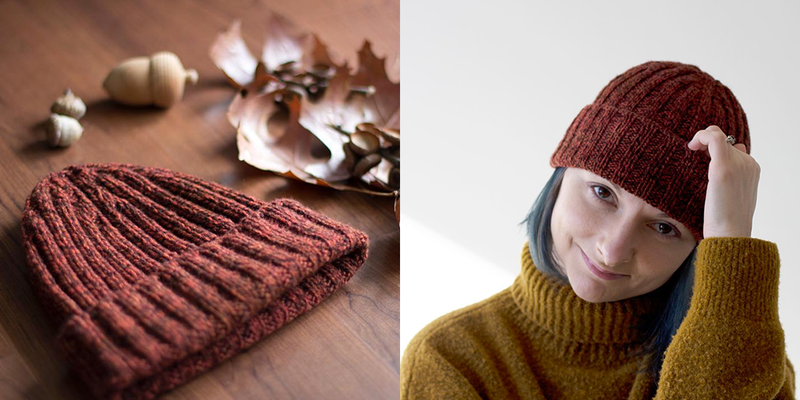 Wonderful interview, I didn’t realize I already had so many of Olga’s patterns favourited on Ravelry, so great to hear her story. Another fascinating episode, thank you so much. Always an inspiration. What a super interesting podcast. Thank you for sharing your love of all things fiber with us. The yarns in the prize package are gorgeous. Thank you for the opportunity to experience a great pattern and yarn. Another amazing episode. I was mesmerised listening to Olga tell her story. Thank you for such wonderfully produced episodes. 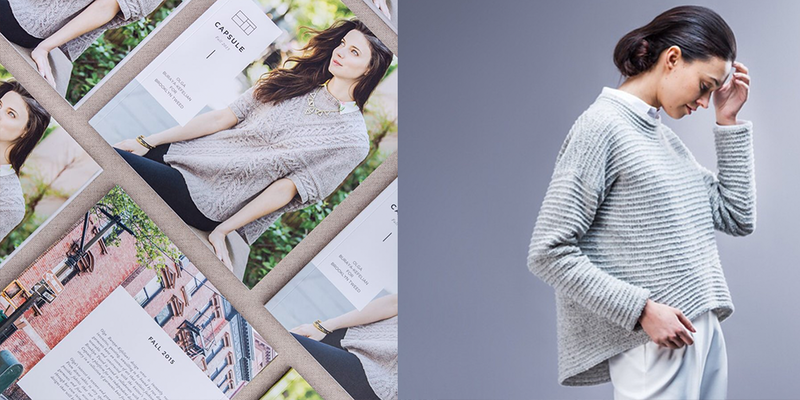 Thank you for introducing me to a knitwear designer with a focus on texture. I love texture! Olga mentioned designs that can be worn in different ways or augmented and I plan to figure out which ones those are. Thanks again! Thank you for another wonderful episode. Its interesting how different cultures view crafting as a profession. I’ll certainly be looking at Olga’s designs. Olga’s story is fascinating and her instagram is a dream. what an interesting history olga has! Her designs are fascinating! Beautiful interview with a lovely designer – especially interesting to hear more about textile and fiber traditions in Eastern Europe. Thanks as always for a wonderful episode. Thank you for giving Olga space to share her story. Her evolution as a designer is fascinating. I’m eager to look at her patterns as I am a person who enjoys learning and would appreciate her project based teaching style. Absolutely fantastic interview. Thank you, Ashley, and thank you, Olga. Inspirational. Great to hear Olga’s story and to get to know her fabulous designs. Thanks for another lovely episode. Thank you for the informative, entertaining content. I just listened to your interview with Olga Buraya-Kefelian and I had to write to say how much I enjoyed listening to Olga. I’ve purchased many of her patterns because I simply love her sense of design. But, the interview struck such a meaningful chord in me that I just had to leave this comment. Well done. The audio of the conversation was also quite excellent – the best one I’ve heard from Woolful. So congratulations on that, too. Thanks to you and Olga for keeping me company on the commute today! It was interesting to hear about how her creative flair for knitwear design was fuelled in part by the limited selection of off-the-rack clothing in Belarus during the Soviet era. This episode was really interesting – it was great hearing Olga speak about how her passion for knitting developed. I am off to check out some of her designs. Great podcast : ) I’m so thankful for designers like Olga who design lovely knits with a capsule wardrobe in mind. 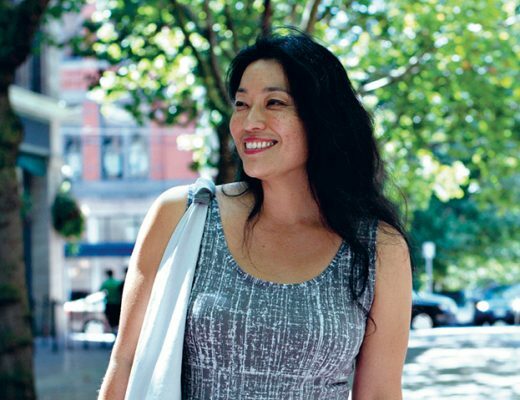 She’s a designer I’ve long admired and appreciated this interview so much. Happy knitting!!! I really enjoyed this podcast. I love Olga’s patterns. They are so timeless. It’s nice to hear her success story. Thanks to both of you for sharing your lives with us. What a great individual to feature. 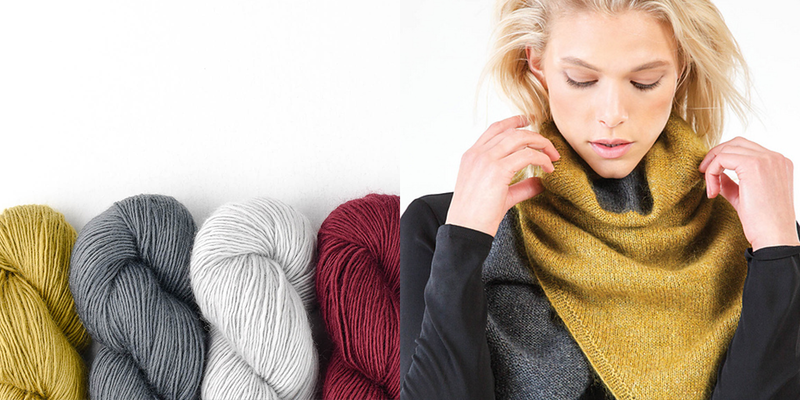 Always love Shibui yarn! Olga has a fascinating story! Thanks for your quality podcast. I look forward to each and every podcast…thank you for always bringing us fascinating stories from the fiber world! Yes !! !you have successsful completed another delightful podcast. 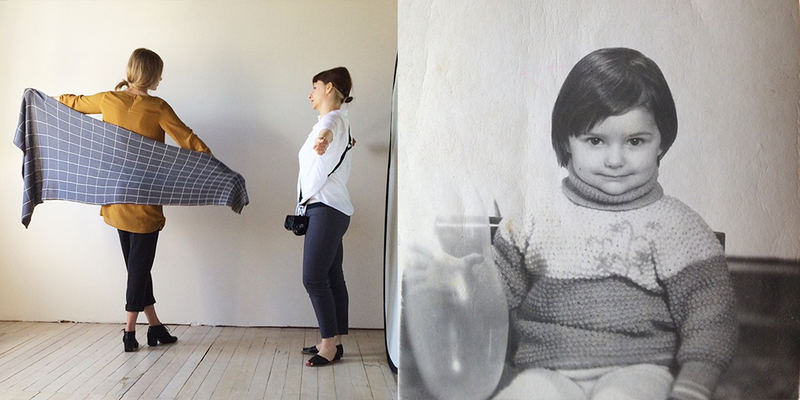 What I enjoyed most is Olga Jazzy discussing the relationship with her mother and how they are connected through crafting.. Thanks. Love seeing that these patterns that I’ve been admiring for a while are designed by the same woman! Such a great background story! What an interesting story Olgajazzy has to tell! Her designs are beautiful. And, what a stunning pattern ICON is! This was a fascinating episode. My 9 year old daughter and I learned a lot !! She has some of the most innovative designs. Thank you for sharing her story! It was amazing to hear her story & be introduced to her patterns. Such a great interview! Thanks! 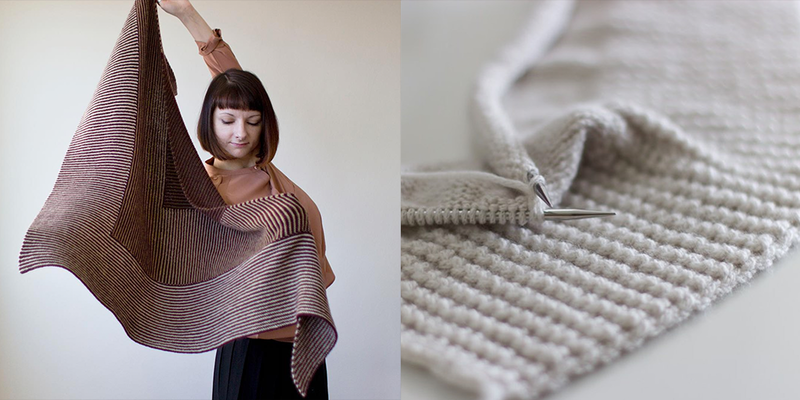 Another interesting and inspiring fiber story! And another great giveaway. Thanks! What an inspiring episode, again! Would love to participate in the give away. Thank you! Great podcast. I relate to her introverted nature. Wonderful interview! Olga’s story is so very inspirational. Absolutely adore her work! So good to hear her story. I loved hearing Olga’s story and seeing the photos you included–I’ll have to go look at more of her designs! Thank you. Can’t wait to hear the episode! Thanks, as always, for the giveaway! Great interview and gorgeous designs! Thanks for another great episode! So interesting and inspiring! What a wonderful exploration of design. Listening and learning about this process as it plays out in her life with such descriptive and articulate language was shear joy. Another amazing podcast. Thank you. I really enjoy listening and it was so interesting. What unique designs! Thanks for another great listen. I’ve just discovered your podcast and love listening to the in-depth, behind-the-scenes stories of the knitwear industry! Love her designs and really loved hearing her story. Thanks for sharing it! I love your podcasts – this was a great one! So glad to learn about Olga and her amazing work. What an interesting story Olga presented in the interview. Her designs are equally beautiful. Thanks for using your platform to present her story. So happy to have found your wonderful, interesting, informative, fun podcast!! And your voice and Olga’s are so beautiful, engaging and lovely to listen to!! Thanks!!! I still haven’t knit a pattern by Olga but it’s definitely on my list, as I love the way she creates very graphic pieces that are timeless. It was a pleasure listening to Olga’s story! I really enjoyed hearing Olga’s story and her designs are so pretty. Thank you for another interesting episode. I’ve always admired Olga’s talent as a designer. I have some of her patterns and one day I will dare to knit something for me. Love her work, such unique designs! Thanks for yet another great episode! So interesting how designers come into their craft. A woman who was influenced and inspired by many things especially her mother. This interview was such a pleasure to listen to. I never cease to be amazed at the variety of stories that we can all tell about our fiber journey. Absolutely loved this episode! Olga is so phenomenal. Thank you for sharing the fiber world with us in the beautiful way in which you do it! An interesting journey, and a good reminder how privileged we are to live in a time and place where we have the luxury of making things for our own enjoyment. Thanks! Thank you for this very interesting interview with Olga Buraya Kefelian, I really enjoyed listening to the story of her childhood in Belarus. Ashley, your podcasts bring me so much comfort. I savor a day off so I can binge listen. Because of the Woolful Podcast, I have expanded my knowledge of fibers, designers, and knitting. I had no idea! I have discovered Olga’s story and her attraction for 3-d design, which has really made me yearn to cast on one of her patterns. 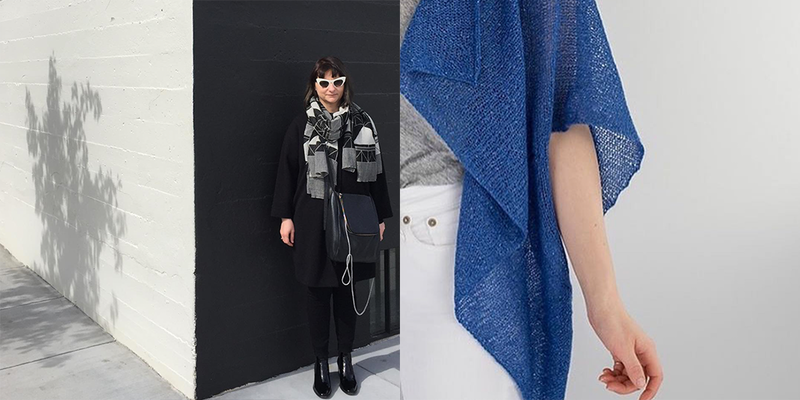 And I love a garment that can be worn in different ways!